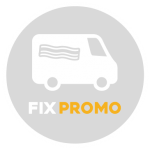 Fix Media have promotional vehicles on the road every day visiting buildings sites. We have over 1,500 one to one conversations in a normal month and to date have given out over 30,000 free bacon butties. Our tours are a great way of getting out and having direct interaction with your target market. We are able to offer product demonstrations, collecting date, running competitions and creating engaging content as well as many other possibilities. We also have our promotional vehicles at all of the main trade shows. 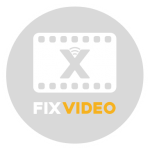 Fix Media have a very skilled video production team that are able to create highly engaging video content. This can be for your internal use or branded content to use on social media (Tradesmen Banter). We’re able to offer every part of the video cycle from coming up with creative content ideas to finding shoot locations to final post production. The best way of working with us is to send in a creative brief of what you require. The team have particular experience with creating content aimed at the construction sector and will make sure any content produced is well targeted. We are able to offer solutions for lead generation and account based marketing. Lead generation is mainly executed with competitions that we can run across our different mediums (on Air, Social, Promo & Digital). 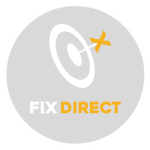 Fix Media is 100% trade focused and we’re able to quickly build highly targeted data sets. Most of the competitions we run involve free products, holidays or cash. Get in touch to understand more.